Meticulously cared for Mid-Century Modern Basement Ranch on 1/2+ acre lot adjoining the greenbelt and the Northridge Trail. Brick & frame exterior with professionally landscaped garden of seasonal blooming plants. Enjoy fall/winter months next to the cozy wood burning fireplace. Main level has the Master bedroom with private bath, 2 other bedrooms, hall bath, large living room with built-ins next to fireplace, dining area & kitchen. Lower level has large family room, 4th bedroom, bonus room or office, laundry room & full bath, storage room and workshop. Hardwood floors under the carpet on the main level. Washer & Dryer connections on each level. 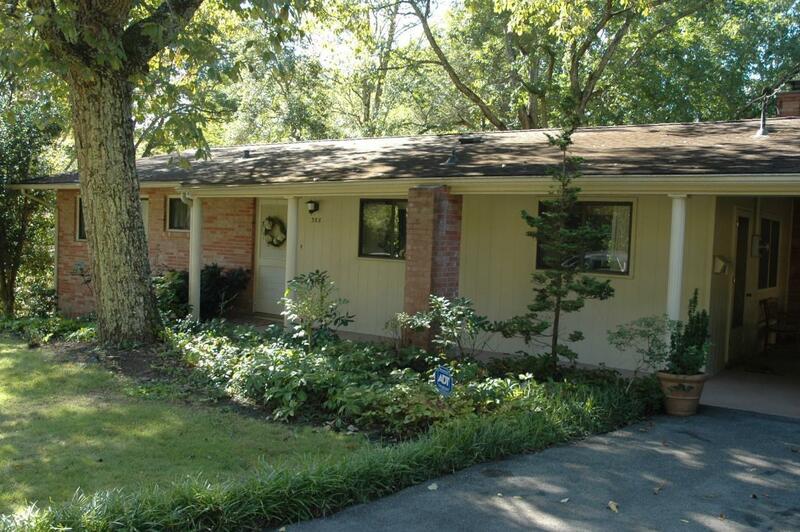 Great location: in the Glenwood/Jefferson School District of Oak Ridge.